Empty the Sago dessert into a bowl and mix with the coconut milk. Pour the mix in two serving glasses. This dessert is particularly refreshing after a barbecue or spicy meal. 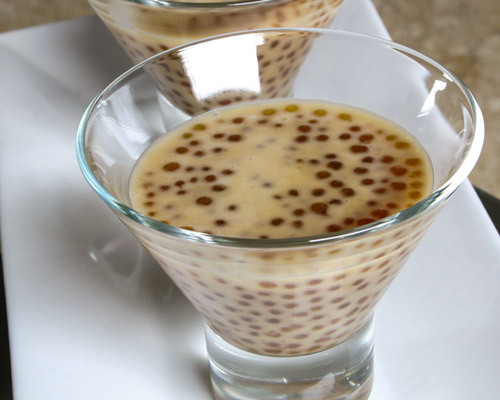 Comments: This enriching & delicious sago dessert made with AYAM™ coconut milk is low in sugar and fat compared to traditional desserts and one serve of this tasty dessert provides 10% of our daily value of carbohydrates derived from the sago which is extracted from the pith of sago palm stems. This dessert can be further enriched by adding nuts & dried fruits of your favorite choice.